This is the just the kind of fame the Peirene fountain had in the ancient world. It was the sort of place you casually mentioned in passing and everyone knew what you were talking about. And it had very far reaching literary associations - the water was even meant to inspire poets. Now, like many important cultural sites around the world, it faces pressure to survive. 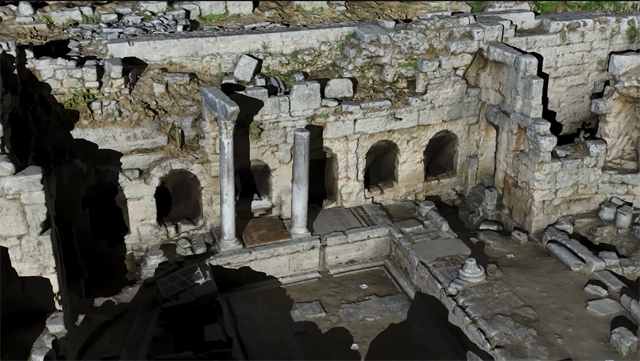 And this is where CyArk, in partnership with Iron Mountain Seagate, aims to help, with its grand scale 3D scanning preservation strategy. I love stories like this. But to my mind the most exciting part of it all is the ability to bring these historic buildings to life in new ways around the world. This could be semi-physical holographic reconstructions or virtual reality versions of the sites that people can explore in their own homes. And just think how beneficial it would be for students. “We currently partner with the Ars Electronica Center, an organisation in Austria that has leveraged data from a number of our scanned sites in their Deep Space exhibit. The exhibit allows up to 200 people to virtually visit these sites through a life size, interactive 3D projection in 8K resolution. This allows visitors to interact with the sites and each other in entirely new ways,” she says. The whole concept came about in 2003 in light of the Taliban destroying the Bamiyan Buddhas in Afghanistan, explains Lee. “To this day, this type of intended destruction continues,” she adds. While many sites also face challenges from weather destruction and other natural threats. At present CyArk has two big, ambitious projects on the go. CyArk 500 Challenge, which aims to digitally preserve 500 sites over the next five years. And Project Anqa, which focuses specifically on high risk sites in danger zones. 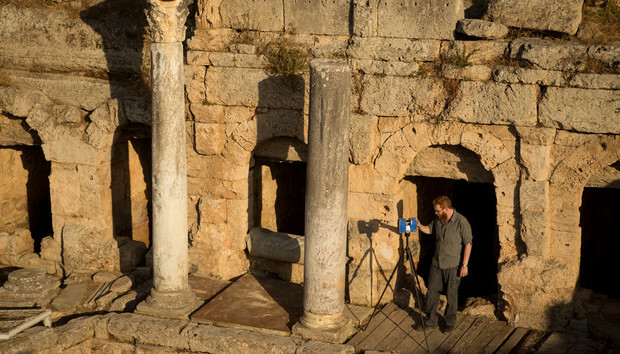 “The cost for scanning individual sites and monuments varies, depending on size and scope of an individual site or monument. We estimate on average, each site costs about USD $50,000 to digitally preserve,” explains Lee. The funds to achieve this come through partnerships with companies, organisations and governments. The sites included in the CyArk 500 challenge comes via submissions from the heritage community – many through governments. And to date, CyArk has completed 90 of the 500 total projects including Greece’s Ancient Corinth and Berlin’s Brandenburg Gate. “In terms of data collection, managing the staggering amount of data collected at each site is a challenge,” says Lee. CyArk does not feel securing these digital files from hackers and terrorists could become as big a problem as securing the physical sites is now, however. “Having multiple copies of the data files, stored in multiple locations is key to ensuring that these scans are accessible well into the future,” Lee tells us.